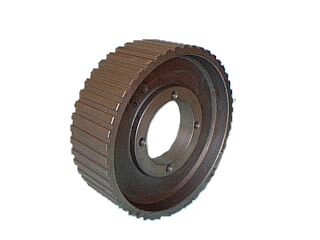 Transmission H Section Belt Drives H section timing pulleys are the most commonly used on hovercraft reduction drive systems today. 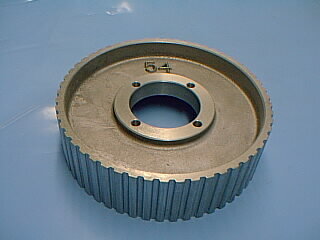 2" belt width can handle approximately 65 hp depending on pulley size (length) and speeds. 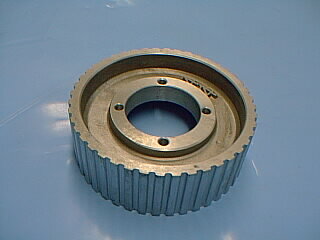 Transmission Aluminium Pulleys for Drive hub Theses pulleys are to suit a 1.5inch or 2inch wide timing belt. 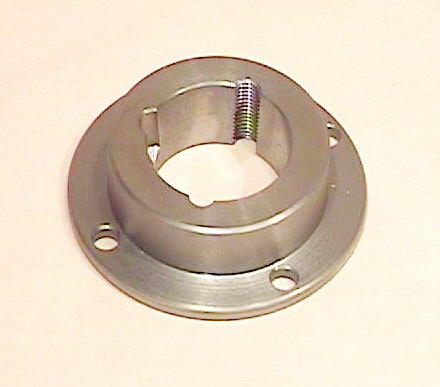 4 holes to suit M8 bolts on 85mm PCD 73 mm bore. 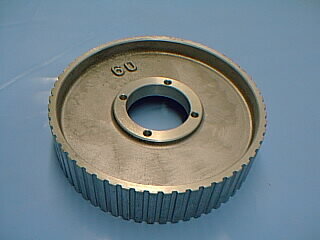 Pulley width varies between 60 & 65mm. 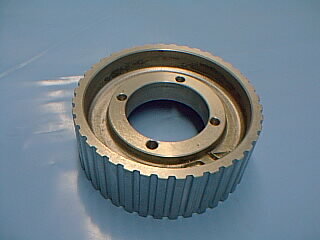 Different pulley sizes can be made to order.